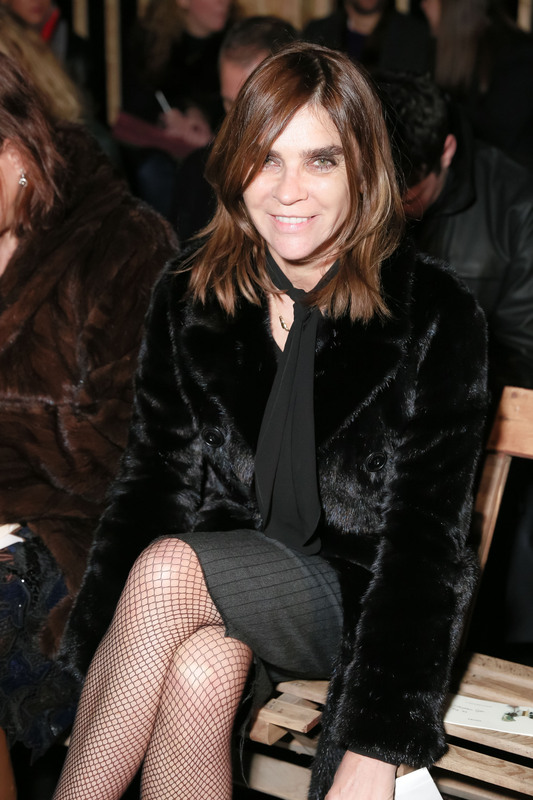 Carine Roitfeld is heading to Bleecker Street. The legendary editrix will be signing copies of CR Girls on June 7 at BookMarc in New York. She’ll be signing copies from 6:30 to 8 p.m. with photographer by Sante D’Orazio who shot some of the most iconic models of today (wearing very little!) for the limited-edition book. Inside, Carine’s 20 favorite supermodels—including Gigi Hadid, Bella Hadid, Lily Donaldson, Joan Smalls, and Amina Blue are wearing Gianvito Rossi shoes and Kanye West’s YEEZY Season 2 collection. The cover of the book features Maryna Linchuk. CR Girls will be priced at $100 and will be available at additional BookMarc locations including in Tokyo and Colette in Paris. The 48-page book is inspired by Carine’s love of pin-up girls. We hear some of the models featured in the book will be at the signing next week. Gigi? Bella?